Asuma apologizes at the grave of the Third Hokage for not understanding his advice concerning what the "king" of the Fire Country is. 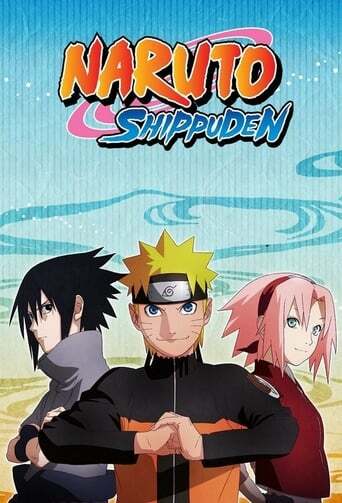 At the hospital, Naruto and Sai recover, despite Naruto's desire to resume his training. Tsunade receives a report from Kakashi that Akatsuki is on the move. 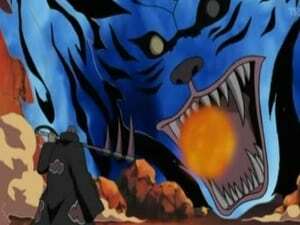 Elsewhere, Yugito Nii, the Two Tails Jinchūriki, struggles against Hidan and Kakuzu and unleashes the Two Tails, but is defeated and captured. Hidan and Kakuzu then turn their attention to the Fire Country for their next target. The second stage of Naruto's training continues, while Tsunade sends out twenty teams composed of four ninja each to deal with the Akatsuki members in the Fire Country. Shikamaru leaves with Asuma, Izumo and Kotetsu, whereas Ino and Choji leave with Raido and Aoba. After putting in considerable effort, Naruto clears the second stage of his training, but collapses from hunger and exhaustion almost immediately afterward. Asuma mourns Chiriku's death, and realizes that Hidan and Kakuzu are trying to claim the bounty on his head. Meanwhile, Hidan and Kakuzu take Chiriku in for their payment. Meanwhile, Kakashi shows Naruto what the true goal of his training will be. Kakashi reveals that while he knows how to perform Rasengan, he cannot combine his own lightning-based chakra. He adds that even the Fourth Hokage, who created the move, could not combine his elemental chakra with the technique, but that Naruto might be able to. Asuma sends word to other teams about Akatsuki’s location and proceeds on despite his concern about Akatsuki’s strength. Kakuzu turns in Chiriku’s corpse despite Hidan’s complaints, and says that he is partnered with Hidan because he cannot kill him. The stress of the training causes Naruto to be enveloped in the Nine-tails's "Demon Fox's Cloak", but Yamato suppresses it. 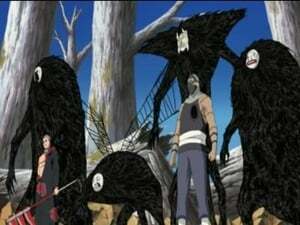 Asuma’s team reaches the bounty station and ambushes Hidan. 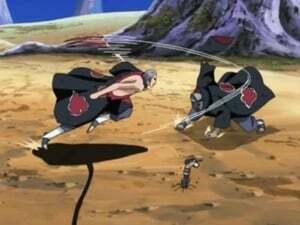 Izumo and Kotetsu attack Hidan, but are unable to kill him despite stabbing his vital organs. Asuma tells his teammates that if they retreat they will be killed and Konoha will be endangered. Shikamaru realizes that Asuma is considering sacrificing himself to help defeat the enemy, based on what he knows of Asuma's shogi strategy. 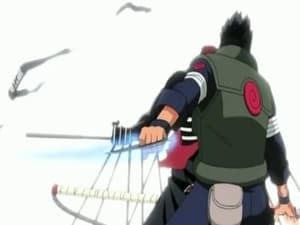 Asuma begins fighting Hidan, while Shikamaru distracts him by forcing him to dodge Shadow Sewing. 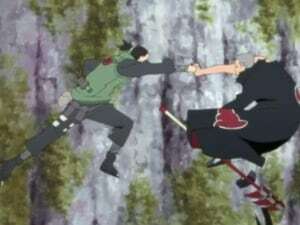 Hidan cuts Asuma on the cheek and steps into a circle of blood as Asuma uses a jutsu to engulf Hidan in a cloud of ash. 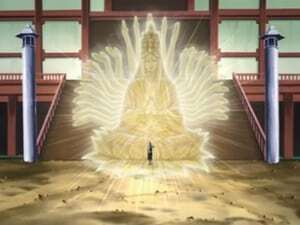 Asuma then sets the cloud ablaze, supposedly killing Hidan. 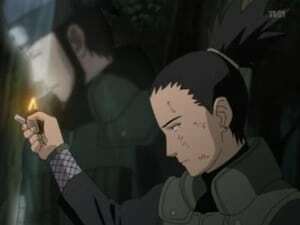 Asuma’s fire jutsu strikes Hidan, but much to the team's surprise, Asuma is also burned. 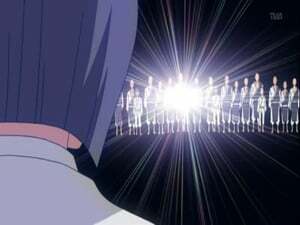 Hidan reveals his ability: By ingesting an opponent’s blood and standing in a ritual circle drawn with blood, the "curse" links him to his opponent and all damage inflicted on him is also inflicted on the opponent. Asuma rushes at Hidan but collapses after Hidan stabs himself in the leg. Shikamaru realizes Hidan needs to be in the circle for the curse to take effect, and uses his shadow possession jutsu to force Hidan to step out of it. 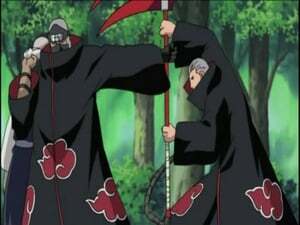 Asuma forces himself to stand up and beheads the restrained Hidan. Team Asuma continues their battle with Akatsuki's Hiden and Kakuzu. While Akatsuki discusses the true goals of their organization, Naruto continues his training. Meanwhile, Tsunade receives the tragic news. When Kakashi strikes Kakuzu through the heart, the battle seems to be over. 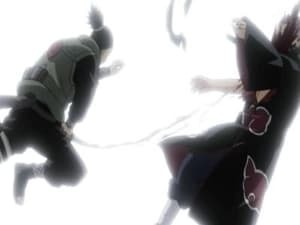 However, when Kakuzu not only survives the attack, but also manages to escape from Shikamaru's trap, it soon becomes clear that the fight is only just beginning..
Shikamaru continues his fight with Hidan. Hidan manages to injure Shikamaru and curses him the same way he did Asuma, but when Shikamaru survives Hidan's attack, Hidan realizes something isn't quite right. 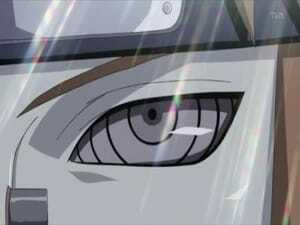 Hidan falls into Shikamaru's trap, but now that he has Hidan cornered, can he find a way to defeat Hidan's immortality? Elsewhere, things are looking grim for Kakashi, Choji, and Ino as they continue fighting Kakuzu, but a surprise back-up unit arrives on the scene to provide some much needed assistance. 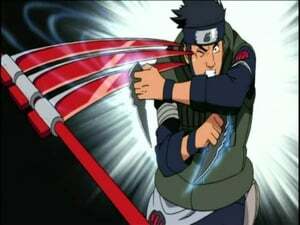 Episode 88 - Wind Style: Rasen Shuriken!